Hearing loss is a common problem that often develops with age or is caused by repeated exposure to loud noises. 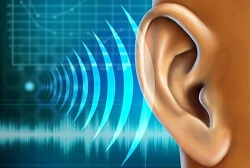 About 63 million people in India suffer of acquired hearing loss. A success story was observed where the use of umbilical cord blood stem cells has treated a child with hearing loss. In 2012, Stephanie Connor acquired a virus infection during pregnancy that put her unborn daughter at significant risk for brain damage and lifelong hearing loss. At age 1, baby Madeleine was completely deaf in her right ear and her hearing was severely lost in the left. While a hearing aid helped to amplify some sounds for Madeleine, it could never fully repair the damage in her ear. In January 2012, Madeleine, 2, became the first child to undergo an experimental hearing loss treatment through an FDA-approved trial at Memorial Hermann-Texas Medical Centre that infused stem cells from her own banked cord blood into her damaged inner ear. Madeleine's ability to hear improved tremendously in the next six months after the transplant. The above case studies offer a compelling reason why parents should consider preserving their child's cord blood, since it may offer a treatment option in the future.